Apple's Seattle offices —dedicated partly to work in artificial intelligence and machine learning —are set to expand both literally and in terms of workforce, a report revealed on Thursday. "We're trying to find the best people who are excited about AI and machine learning —excited about research and thinking long term but also bringing those ideas into products that impact and delight our customers," Apple director of machine learning Carlos Guestrin told GeekWire. The site noted that while Apple is already leasing two floors at Two Union Square, it will soon finalize a plan to occupy other floors in the tower. Staff from Seattle-based Turi —an AI and machine learning startup, which Apple bought last year for an estimated $200 million —will be moved into Two Union Square as part of the expansion process. The University of Washington has meanwhile announced a $1 million endowed professorship in artificial intelligence and machine learning, reportedly made possible by Apple's Turi acquisition. Guestrin was ambiguous about Apple's plans for AI and machine learning technology, but spoke about making people "emotionally connected" to devices like iPhones through how much they understand their users and make relevant predictions. The Seattle team is said to be doing a mix of short- and long-term research, developing features for upcoming products as well as working on concepts that are 3 to 10 years out. 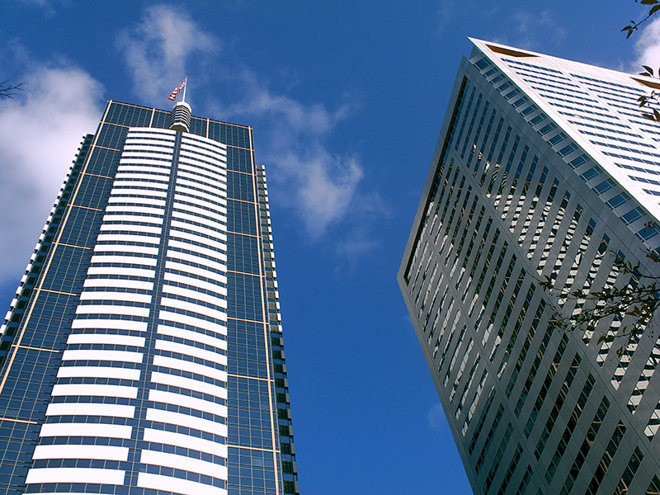 The move was heralded by real estate agents "buzzing" in Aug. 2016, with a report claiming that Apple was investigating space in the Centre 425 building, the 929 Office Tower, and the Lincoln Square expansion tower. Apple has faced criticism for being behind the times in the field. Voice assistants from Amazon and Google are sometimes considered superior to Siri, and the predictive aspects of iOS are limited, for instance suggesting apps based on location.